In Singapore, a Pontianak is a vengeful female vampire, a creature who erupts from banyan leaves to feed on male flesh. Its pristine, innocent shell — an image of virginal purity in a white dress — may at any moment give way to the grotesque. For sixteen-year-old Szu, growing up in the sweaty streets of Singapore in 2003, the shadow of the Pontianak looms large over her life in an unlikely form. Szu is the daughter of a film star — well, almost star — as, back in the 1960s and 1970s, her mother Amisa appeared in a series of cult films in which she played the central beast. Jump ahead to 2003: Amisa has entirely renounced her dreams of acting and instead performs hack séances with a friend. As the two women trade on their victims’ desperation and hopes, Amisa seems to have become the monster she once portrayed, a dark force that feeds upon others in order to sate an unquenchable hunger. As a result, Szu grows up in a gloomy household, her life shrouded in shadows and haunted by whispers, the furniture soiled by dust and the smoke from her mother’s cigarettes. 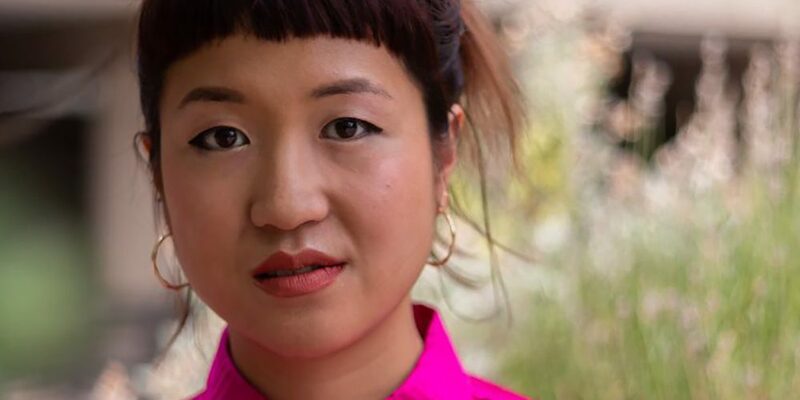 In a world in which women are still vying for space, both on and off the page, it’s refreshing to read a novel like Sharlene Teo’s début. Ponti follows the lives of three women who all struggle, in different ways, to assert their right to determine themselves. Splitting her focus between Amisa, Szu, and Szu’s childhood friend Circe, Teo masterfully splices the novel’s different time periods (which range from the 1960s to 2020s) into short-scene chapters, and guides the reader through temporal shifts with a steady directorial hand. Rocketing from Szu collapsing after receiving bad news, to her birth in 1987, the movements between time periods can occasionally feel abrupt, yet they also give the novel a velocity that only adds to one’s awareness of the calculated care with which Ponti has been composed. Life is not linear. It weaves and ducks through time, it repeats and bends back on itself in waves, it brings together different moments in alien constellations, and Teo has found a form that is true to the experience of living in this way. Whatever Amisa’s self-perception, her daughter provides her with an eager audience. Szu sees her mother as particularly beautiful, and she covets the power of the very beauty that Amisa no longer recognises. Like most teenage girls, Szu knows full well that “Beauty is an armour”, but she knows this because she has had a lifelong example of what beauty can do. “[F]or as long as I’ve known her”, she says, “my mother acted invincible because of it”. What Szu doesn’t know, however, is that her mother, too, was once susceptible to the same confusions, the same longings for self-confidence, the same doubts about what she could do with herself. Amisa remembers her own childhood as a long, murky pool which she had to climb out from at great expense in order to free herself. Differences of perspective and self-perspective exist not just between Szu and Amisa, but also between Szu and Circe. Adolescence is never a smooth road, even for the beautiful; coming to terms with who you are and your place in the world is always a challenge. At first, then, as they watch American high school films with teenagers played by airbrushed thirty-year-olds, Szu and Circe come to believe that “everyone seems to have a more expert grasp of the performatives of teenhood than we. It’s depressing.” Beauty helps, they think, but it isn’t a cure-all. Even the girl with a big nose has a boyfriend. The thought processes that follow news of such pairings are instantaneous and reactive: “What has she got that I haven’t?” “What is wrong with me?” Without beauty, without experience, and without attention, Szu in particular feels hardly there at all, merely “the imitation of what a girl should be”, like the very monster her mother once depicted, the semblance of a thing. As she attempts to blend in with those around her, she even lies about having kissed a boy — a move to try and level herself against Circe’s development and newfound experiences during a “summer of love”. Yet her lie is more than simple deception. For Szu, it is a form of truth, a wish she desires so dearly that it becomes a part of her: “It’s the truth, if I think very hard I can sense that phantom kiss, the wet and reach of it.” The kiss, more than anything, is a cry to Circe: don’t leave me behind. When Szu loses her mother to illness, Amisa’s sudden absence extends the distance between the two girls. “Grief makes ghosts of people”, she observes. “I don’t just mean the ones lost, but the leftover people.” Szu becomes ravaged by sorrow, made pale and waxy by it, and her loss functions as a trigger for her body to morph. Food stops passing her lips. She clings to the solid world, but her sadness seems catching. Circe is revolted and repulsed by her friend’s transformation, and as Szu’s bereavement becomes an unbridgeable difference between them, Amisa’s absence causes Szu to change, to age. In the characters of Szu and Circe, in the maternal years of Amisa, and in the interplay between the three of them, Teo portrays the pained comparisons of ageing all too truly — and especially the hyperawareness of a changing body to the beauty, flaws, and traumas of the bodies that surround it. What rises above all else in Ponti is this preoccupation with how women are with one another, and more vitally the open and unapologetic exploration of the politics, potential, and power of friendship. As an older woman, when talking to her ex-husband about former relationships, Circe comes to realise that “Szu felt like my first test of patience: a tenuous, milk-toothed kind of love”. Friendship remains one of the most mysterious connections we can hold with other people in our lives, and yet also one of the most important. To live in this world alongside others demands it, even if certain friendships are only brief. Strictly speaking, Circe and Szu are close for just a short period of time, a few formative years, yet their interactions continue to affect them long after they stop talking. Watching a pair of girls on a bus, the pangs of memory make Circe see clearly the preciousness of what she and Szu once had: “They are their own squirrelly and absorbing universe of two.” She remembers how, lying in bed next to Szu, she could feel “thoughts and moods pulsing from her stone still form”. In depicting these fragile moments of friendship, Teo perfectly captures those unutterable forms of closeness that bind us to the people we love. 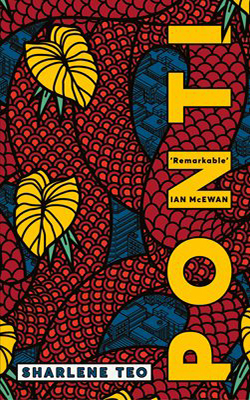 Ultimately, though, what makes Ponti so intriguing as a début is that Teo manages to combine the tenderness of her themes with a refusal to be likeable. None of her characters are cutouts of heroines, rebellious teenagers, or movie stars. All are flawed, or acne-scarred, or selfish, or cruel; all have fallibilities and refuse to fit into the outlines that cultural conventions or stereotypes might lead us to draw for them. After receiving a message from Circe, Szu watches her mother on the screen in her starring role on repeat. “The hope in her face breaks my heart”, she says, then she adds: “Rewind. The hate in her face breaks my heart.” As she sits there with the flickering image of her deceased mother, she allows her conflicted emotions to come to the fore: “I press pause and detest her and miss her, all at the same time.” The Pontianak that Szu sees on screen is at once a vulnerable girl and a dangerous monster. Women, Teo seems to say, are manifold; they can be both. Thea Hawlin is a writer, artist, and cultural critic based in Italy. She writes for publications such as the Times Literary Supplement, LitHub, Review 31, and AnOther. 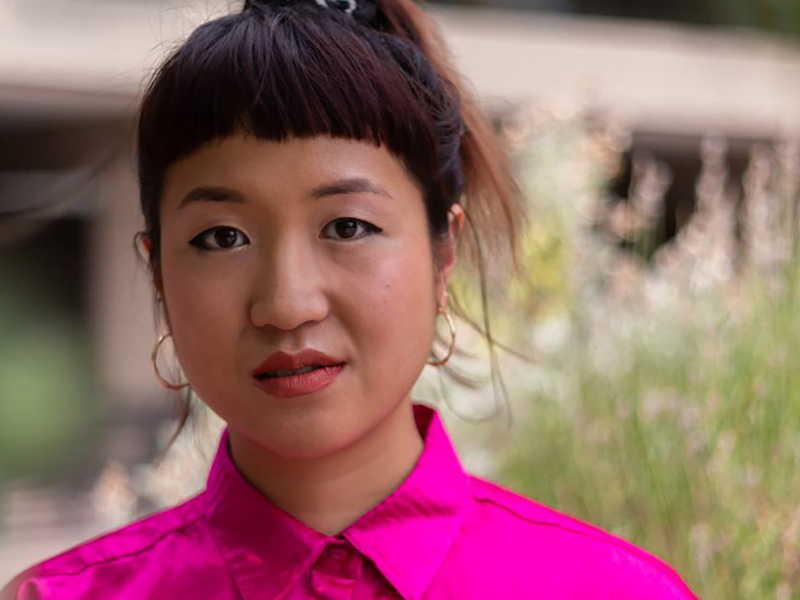 She has also managed social media for Asymptote, the online journal of literary translation, and was a contributor to The Digital Critic: Literary Culture Online, the acclaimed collection of essays from O/R Books. Thea tweets @TheodoraHawlin.